Amsterdam-based British writer and performer attempts to unravel life and culture. The large, loud guy with a Southern drawl waiting to get on the plane to Atlanta only needs to be chewing tobacco to complete the stereotype. Oh, and maybe a Stetson instead of a baseball cap. A Jewish man in historical garb rocks back and forth nervously muttering to himself in the corner. Okay, he's not nervous so much as praying. But it's the sort of praying that would be the onset of craziness in an atheist. Flying is like being strapped into a hospital waiting room for several hours while the Earth spins away below you. The seats even come with their own dog-eared magazines which tell you how wonderful it is to be in various places around the world to take your mind off how awful it is to actually get there. Planes these days often come with tiny little screens behind the head of the person in front of you. These ones are so tiny and low resolution I thought I was looking at an ad for "Miss Dim" for a minute before I realised it was for "Miss Dior." I'm not sure how wrong I was, to be honest. I've seen about 20 movies in my life silently, over people's shoulders in planes. Not movies I want to see; but I'm attracted to moving pictures. I believe it's called Scapulavision. On my tiny little screen, I saw a movie and a half to help pass the time because I sleep quite badly in uncomfortable chairs suspended over two miles of nothingness. I saw the King's Speech, in which an Australian teaches Colin Firth to speak so he can replace another Australian as king. I believe the working title was, George, King of the Desserts. 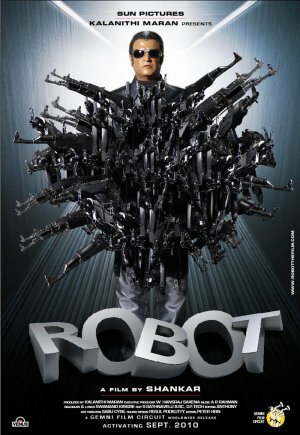 I also watched the first half of Robot (original title: Endhiran). If you wanted to know what Terminator would be like if it was mashed with The Matrix, made in Bollywood and starred Elvis, this is it. Sublime. Peter is a British expat writer and performer who lives in the watery city of Amsterdam. He blogs about The Netherlands, travelling, improvised comedy and life in general. (c) 2010 Peter More. Simple theme. Powered by Blogger.